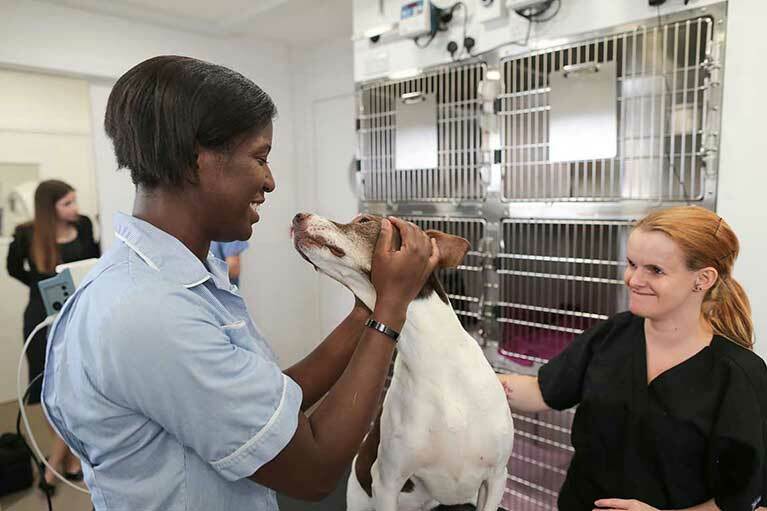 At London Vet Specialists, we aim to take care of your pet companion as if it were our own. We know that having a sick pet, or one in need of medical attention is worrying for you. We are here to help take away that worry and support you every step of the way. Our team, from the veterinary nurses to the consultants and specialists, are all pet owners and animal lovers themselves. We treat every patient that comes to us with the utmost professionalism, care and compassion. We also strive to make your journey with us as a client as stress-free as possible. Our client relations manager is here to personally guide you through the referral process, and to be on hand to help you with any concerns. Updates are provided to both you and your primary vet regularly, and you are able to speak directly to the specialist in charge of your case throughout your pet’s time with us. Unfortunately due to the codes governing our profession, we can only see patients that are referred to us by your existing vet. If your vet considers that your pet needs specialist help, after discussion with you, they will contact us directly. We are available for informal case discussions with your vet at any point in advance of your referral. We can provide them with expected costs of your first consultation, as well as estimated costs of any predicted ongoing investigation or treatment. Following your first consultation, when we know your pet’s needs more fully, a more detailed costing will be provided to you for the recommended next steps. Consultant appointments can be arranged directly with you or through your vet, at a time that’s convenient for you. Please do not feed your pet for 12 hours prior to the appointment unless your vet advises otherwise. Water can be given up until admission. When you arrive, you will be personally greeted by our client relations manager who will then introduce you to the consultant in charge of your pet.